Supply your cafe, coffee shop, or breakfast bar with the farm fresh taste of this Pequea Valley Farm 6 oz. mango yogurt. Featuring a deliciously creamy mango flavor, this Grade A yogurt is made with all-natural ingredients and packed full of healthy, protective probiotics. Traditionally, Greek yogurt is made by straining the yogurt to remove the whey - the liquid remaining after the milk is curdled - and the end result is a more-solid yogurt with less sugar, fewer carbohydrates, and more protein compared to regular yogurt. Packaged in a 6 oz. 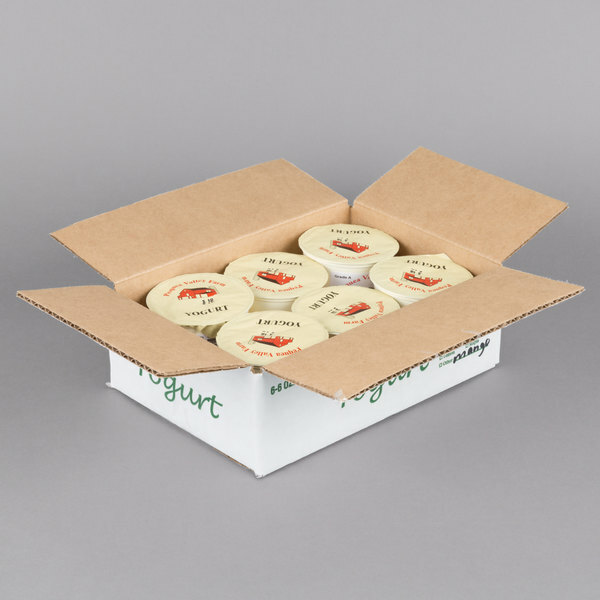 cup, this yogurt is perfect for adding as a side item to breakfast, lunch, or to-go meals in your establishment, or as a healthy option for guests at your continental breakfast bar. Made in the heart of Pennsylvania Dutch Country, this yogurt is pasteurized from the whole milk of grass-fed, hormone-free, antibiotic-free cows and undergoes a natural, small batch processing method. 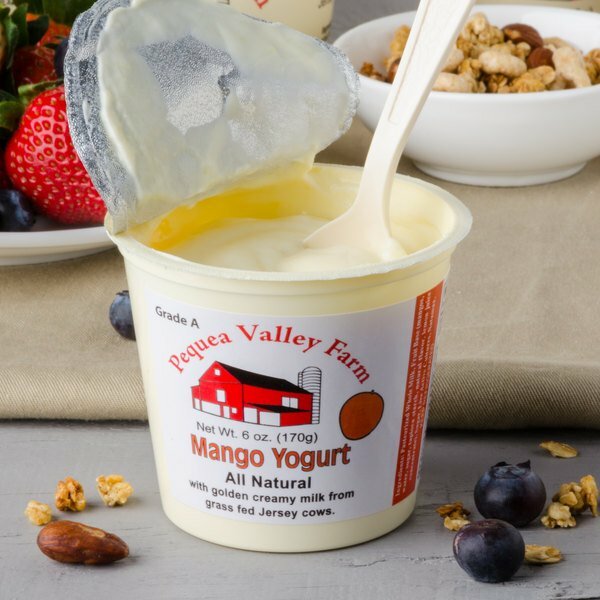 To ensure a high-quality taste, Pequea Valley Farm only uses all natural ingredients, sweeteners, and real fruit to make its delicious yogurt. 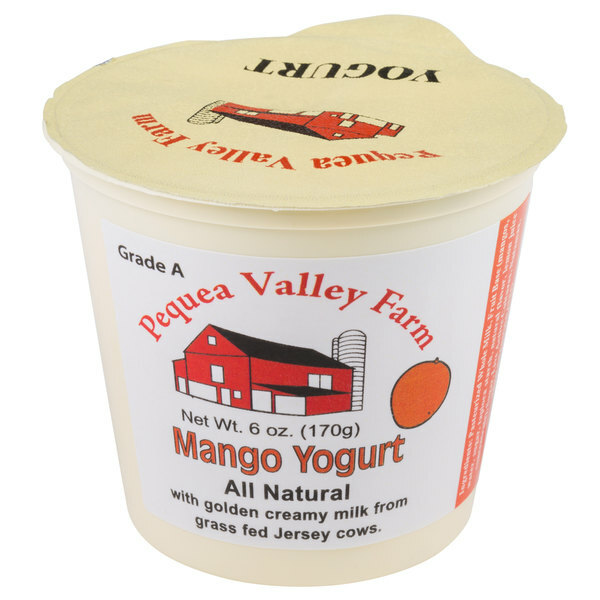 Provide your guests with high quality, fresh foods like this Pequea Valley Farm mango yogurt! The mango yogurt is tropical and delicious and treat for all those who try it. A great texture of yogurt and great tropical flavor. Love it.